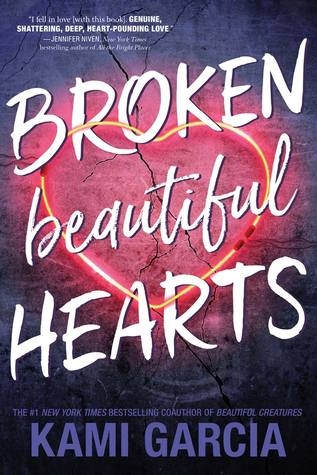 Review In A Nutshell: Broken Beautiful Hearts is a fun, suspenseful read with plenty of mystery and romance to make the pages fly by. This book follows Peyton, a high school senior with dreams of being a professional soccer player. It seems her dreams may come true when she is accepted to the University of North Carolina and given the opportunity to play on their team after high school, but her hopes are crushed after a rough fall down the stairs that severely damages her knee. This fall, however, wasn’t an accident. No one but her mother believes her when she says her boyfriend pushed her, so for her safety she has to live with her uncle while she heals. In this new town, she meets Owen, who is hiding some secrets of his own. The majority of Broken Beautiful Hearts takes place in Tennessee, in a small, football-obsessed town. While the setting isn’t the main focus, it is well-described and very easy to imagine. It serves as a great location for the mysterious plot. Because the suspense and secrets in this book are the shining aspects, which kept me from putting the book down. Like Peyton, I found myself looking over my shoulder, wondering what her ex-boyfriend Reed was up to and how safe she truly was. Tha pacing was very fast, there was always something happening or about to happen, which made the chapters soar past. The main characters in this book are all well-developed and fun to read about. Peyton herself wasn’t the shy and insecure protagonist that we’re all used to seeing in YA fiction. She’s bold, assertive, and will fight for herself. Although Reed’s attack on her definitely had an effect, she remains a strong character while still fighting through her demons. Owen is another strong character who is fighting his own battles (which we don’t learn fully about until over halfway through the book). He maintains a mysterious aura while also being a decent human being and someone Peyton deserves (because after her last boyfriend, I think every other character agrees she deserves someone kind and good). The side characters, like the Twins and Grace, were fun and entertaining. They may not have been the most original or creative characters, but they weren’t truly stereotypes or cliches. Reed was probably the most interesting character to read about. He was an amazing antagonist. For me, there is nothing better than a well-developed, interesting villain, and Reed definitely falls into those categories. From the start, you could see how he was spiraling downward, and Kami Garcia is not shy about showing what drugs can do to someone, and how it can change them. One of the aspects I loved about Broken Beautiful Hearts was its message about domestic violence and abuse. From the premise, you can tell it will be a large part of this story, but I really loved how Garcia handled it. Peyton was not weak because of what her boyfriend did to her, and she was definitely not weak by putting her safety first and getting away from him. Although there is one part in the beginning that could raise flags (Peyton refusing to press charges or later get a restraining order when it seemed necessary), her choices are understandable because of how scared she is and how much she did care for him and his family. It was amazing when I then read the authors note at the end sharing Kami’s story and her advice. She is so strong in doing so, by trying to help others who are in similar positions that she was once in. Pros– This book is gripping, fast-paced, with characters you will love and love to hate. Cons– There were a few continuity/writing errors that are almost not noticeable unless you’re like me and you pay attention to every little detail. While none of these things are horrible and unforgivable, they did take me out of the book for a second. Honestly, they could have been fixed if the editor just looked it over one last time (simple things like mentioning the note on her locker a chapter before it happened, and having the main character refer to a character by his name when just a second ago she had no clue who he was and was referring to him by what he was wearing). I just wanted to be clear that these errors are there and I saw them, but if you want to read this book, they won’t stop you from enjoying it at all. They’re the only reason I took off half of a star. Broken Beautiful Hearts is a fast-paced, suspenseful story filled with secrets, romance, and realistic drama. A perfect read for anyone looking to get lost in a book.